NASA plans to launch an intensive safety review of SpaceX and Boeing, the two private American companies contracted to fly agency astronauts to and from the International Space Station, The Washington Post reported today (Nov. 20). The review, which is expected to begin next year and take months to complete, was spurred largely by SpaceX founder and CEO Elon Musk's behavior on comedian Joe Rogan's podcast in September, three unnamed officials told The Washington Post's Christian Davenport. Musk sipped whiskey and took a puff of marijuana during his 2.5-hour appearance on The Joe Rogan Experience, which was webcast live. Marijuana use is legal in California, where the podcast was recorded. Regardless, Musk's actions "rankled some at NASA’s highest levels and prompted the agency to take a close look at the culture of the companies, the people said," Davenport wrote. "If I see something that’s inappropriate, the key concern to me is what is the culture that led to that inappropriateness and is NASA involved in that,” NASA Administrator Jim Bridenstine told Davenport. "As an agency, we’re not just leading ourselves, but our contractors as well. We need to show the American public that when we put an astronaut on a rocket, they’ll be safe." 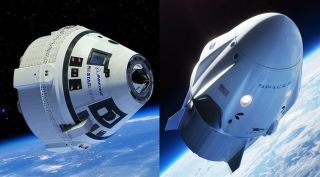 Both SpaceX and Boeing plan to launch the first crewed flights of their astronaut taxis — known as Crew Dragon and CST-100 Starliner, respectively — next year. The imminence of these big milestones helped prompt the upcoming probe, Bridenstine said. The NASA chief stressed that he "has a lot of confidence in the SpaceX team." But he also told Davenport that "culture and leadership start at the top. Anything that would result in some questioning the culture of safety, we need to fix immediately." There are many more details in The Washington Post story. Read the whole thing here.